Take the help of Google Adwords reports for grabbing higher sales and conversions. Google, a well-known name in the search engine is constantly expanding its feet in various spheres of life. From being a search engine optimization company, it is slowly progressing into the field of eCommerce services for providing quick product purchase. Slowly and steadily, the search engine titan is trying to track the customer behavior for optimizing online shopping experience through Google Analytics and Adwords reports. These real time analytics reports help in providing a fair idea about the distance of people who are searching for a service online along with the ad clicks required for in-store visits. Get insight from the distance reports for implementing better ad targeting. This analytics report helps in keeping the track record of store visits based on the distance of the people from the store while searching for a product or service. This crucial information can be a great help for digital marketers who can keep a track of the area or radius which experiences the most number of store visits. This can help in optimizing the performance of your store by implementing target based ads for a region in the best possible manner. Presently, distance reporting is available for Search campaigns only and will be available for Shopping campaigns in a short while. Store visits performance reports help in optimizing the performance of an online store. Store visit performance based reporting helps in tracking the geographic areas which generate the maximum number of ad clicks for an online store. By having a clear idea about the conversions from a geographical area, digital marketers can easily plan out their ad budgets and bid investments for driving more sales. This analytics information is scheduled to be available for geographic and user locations reports. 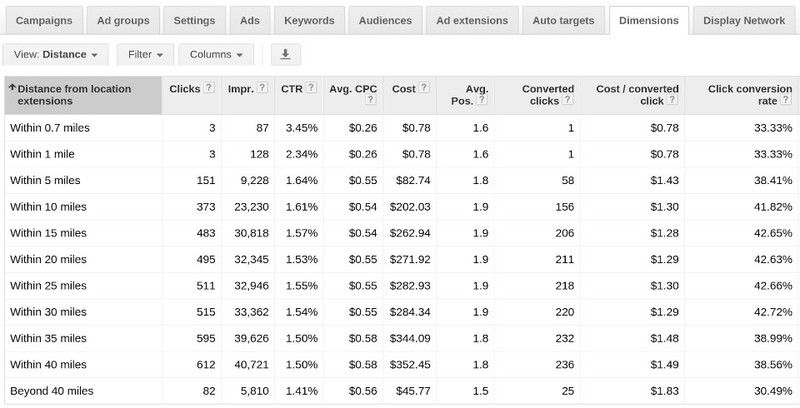 How can you access the new Adwords reports? Settings tab > Locations tab > “View location reports” to check store visit performance reports for your online store. Adwords reports are a critical component of online marketing and together with the help of social media optimization, eCommerce store owners can easily achieve the desired business results. Analyze the Adwords reports to offer a unique online shopping experience to your targeted customers for keeping up with your eCommerce business rivals. The combo of Google shopping integration with the Adwords reports can effortlessly grab more conversions and sales for your online store.